For American-born Jamaican Tarrus Riley, cricket flows in his blood. Even before he could say anything, the Reggae Artiste was visibly excited to catch some action as Uganda’s African champions played out in a duel dubbed ‘Tarrus Riley Cricket Carnival’ at Lugogo yesterday. His attention was undivided at the boundary as he got animated between the beautiful shots played and animated wicket celebrations by the girls. And Riley welcomed the appointment as Uganda Cricket Association (UCA)’s new global brand ambassador. “It is part of me to support young guys and give them a chance and inspiration,” Riley answered when asked on his unrelenting role to lend a hand to several charitable causes across the globe. Jazz Safari’s Tshaka Mayanja, whose brand sponsors the Men and Women’s National League for the last five years, said Jazz Safari was intent on promoting talent with a special attachment to women’s cricket. “We are going to be here for long time in the future and Tarrus (Riley), too. He is willing to lend a hand in whichever way he can. Uganda cricket can bank on him as they continue to strive for success. 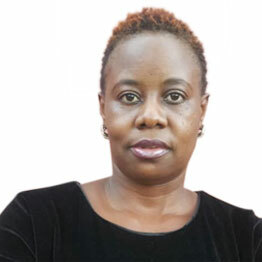 We urge you to give back in equal measure by turning up in droves for the Swangz Avenue Concert of The Year here on Friday,” said Mayanja. 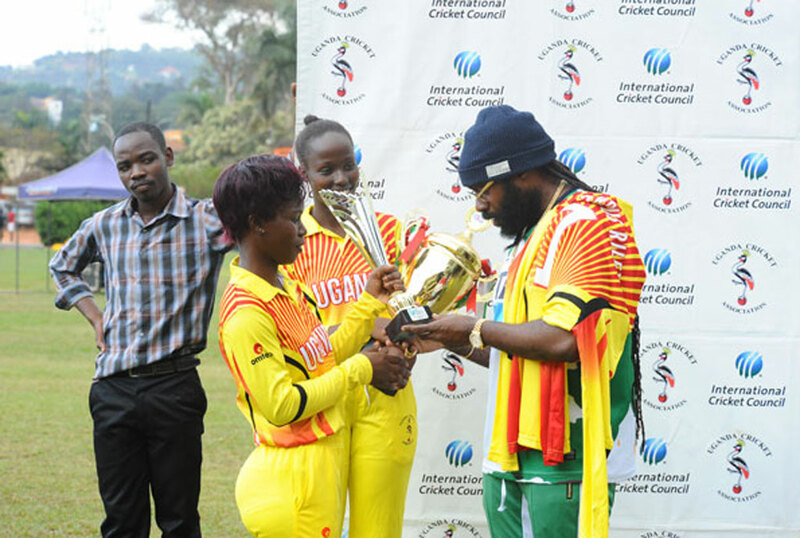 UCA Board Women’s Representative Mary Makumbi handed over to the 39-year-old superstar with a Lady Cricket Cranes cap and jersey emblazoned with No.1 for his new role. And then captain Kevin Awino and assistant skipper Janet Mbabazi presented to him the two trophies Uganda won in United Arab Emirates and Windhoek, Namibia, where they won the African title last year.